TheJohnFriday: flashback | A Ride Through Memory. flashback | A Ride Through Memory. a transition (in literary or theatrical works or films) to an earlier event or scene that interrupts the normal chronological development of the story. an unexpected but vivid recurrence of the past experiences. It's 2 May 2014 already, which mean my journey here in Centre For Foundation Studies IIUM Petaling Jaya are about to end. The final exam of the final subject is on 12 May, and then it's over! Two years of walking, running, stumbling and everything is finally has come to an end. The first week here was a a bit tense. Well, it the first time for everything - eat, sleep and everything with the persons I just met. Everything was just so awkward and nervous for me. So here is my post on the first week I'm here - HERE. But it wasn't the worst of all as I was not here with completely strangers. I'm entered here with some fellows from the previous high school. So, I wasn't really alone. Each time I found a free time, I gathered with them. This occured at most of time. Not until one or two month after. I know it's kinda bad that I don't get along with my new friends, new environment. But I rather describes myself as slow and steady person. I am who I am. For the records, I think in high school, my life was really flat. Yeah, it's nothing. Not until I'm in Form 5, where I started to get along with others. Go here and there. Made friends with everyone. Introversion, I think. Cycling with the Environment & Nature Club! Academically, I was quite okay in the first three semesters. The subjects taken were not really difficult, yet. I wasn't really a good student who always spend his time with books and notes. I just study when there's quiz or exam. And when the lectures ask for the tutorial set. That's me. I rarely went to library except when the lectures held the class there. I also not into study group things. I prefer to study alone, while listening to the songs and eating snacks. Haha. Even when there's group assignment, I'll do it by myself. That the bad thing about being me. I hardly communicate with others. I don't know why but that's how an Afiq Fida'iy works. After about one semesters, I'm no longer sticks to my fellows from hign school. Some of them continues overseas. mostly in Egypt/ And few change course to Economy which is not in the same campus. That's when I started to adapt with the surrounding. But that also the downfall of my academic. When my friends changed course I think that I should follow them. Simply because I think I can't do it. The courses become harder and harder. Yes, there are who excel. But it wasn't me. The next semester I tried to change program but rejected. My studies went down. My CGPA also worst. Seriously until now, I don't know what to do anymore. Maybe a new beginning can help me. I also starts to find my biggest passion, so that I know what I gonna be. Time is everything. Now I am 20. Some of my friend already started their degree and some already done with their diploma. But me, still struggling to know myself. CAC 2012/2013 and 2013/2014 lines-up! 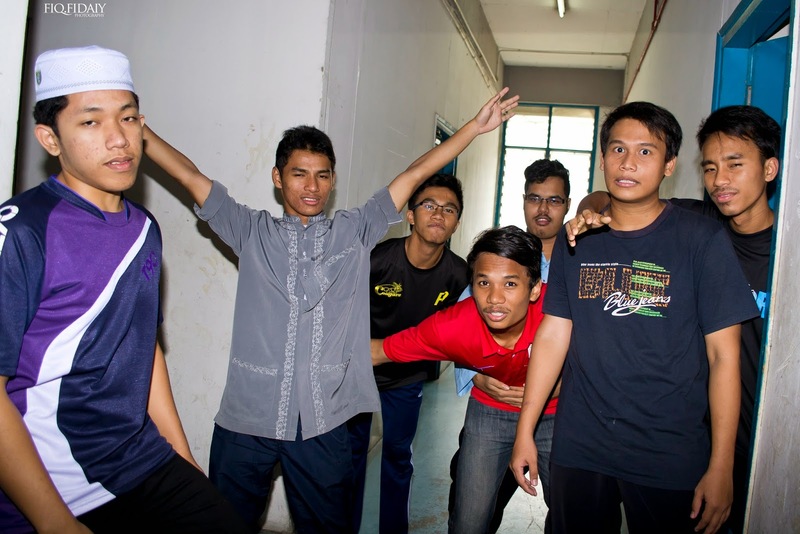 After a year in CFS, I'm became more friendly with my roommates and classmates. 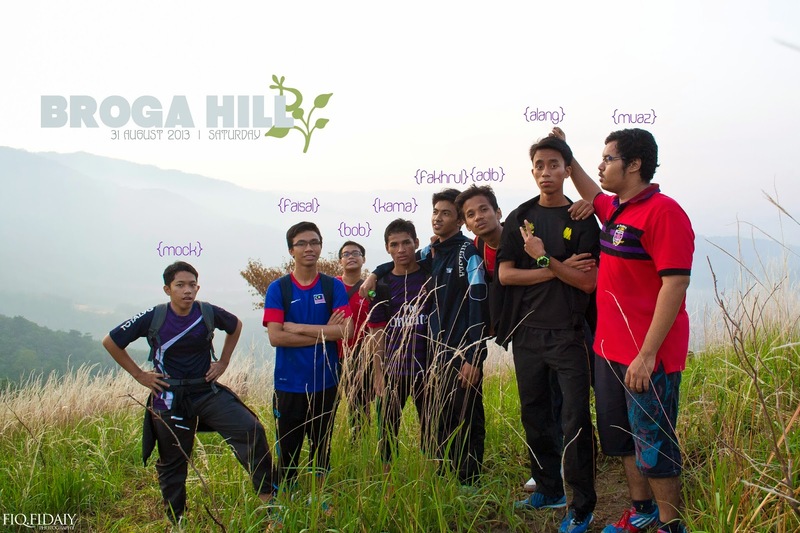 On the first semester of the senior year, we went for a hiking at Broga Hill. Here the post. :D Before, I always had my lunch or dinner alone, but now I spend sometimes with them. Not everytime, just few times in a week. I still had my 'lone ranger' time 'cause I need them. Haha. I don't know why, but I really enjoy my time alone. I also has resigned from the CAC as I really hate had meeting all the time! Haha. No. Actually I just find myself too busy in these and those, so I need to reschedule my time. 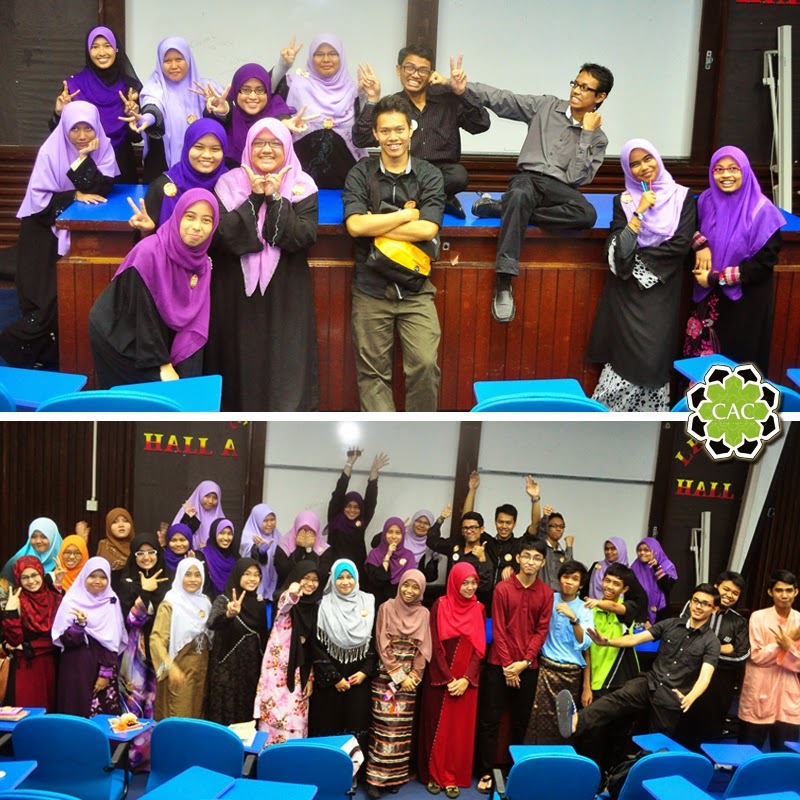 My last program with them was on the Annual Grand Meeting where the new lines-up of the committee membes are elected. I do enjoyed every programs that I had done with the club. I still look back at the photos that I took in every programs they ran. Yeah actually I always look back at the every photos I took when I'm free. Looking back at those photos somehow made me happy. Crazy a bit maybe. Hahaha. 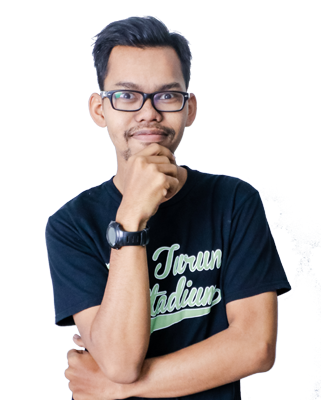 Now, in the sixth semester, the final semester, I free from any societies in the campus. Just enjoying my last semester, and focus on the three subjects taken. Sometimes, I went to the talks and shows, just to fill up my time and make sure that I won't regret any of it. Even in the SMAC last month I still took photos, despite that I ain't attached to any society and that I have to borrow the camera from other. Still do it for my passion. I love taking pictures. And I also happen to have a disease that I think every single soul of my age is having - crush! Really hate it because I'm really bad with all this heart feeling. I don't know how and why and when. All of sudden, she's already stuck in my head. Honestly, its sick and good at the same time. See? Complicated huh! Really hoping for a happy ending though. All the best and good luck for me, you and you'll on the final exam! May Allah ease us all. InsyaAllah. p/s: Hope you're not some kind of grammar checker. I'm here to express not to impress.